Portland Wine is an independent wine merchant with five stores (with a sixth on its way) across the North West. Selling fine wines from around the world, along with spirits, glassware and cigars, Portland Wine called upon First Internet to design a site that would reflect the merchant’s impressive product selection and expertise. 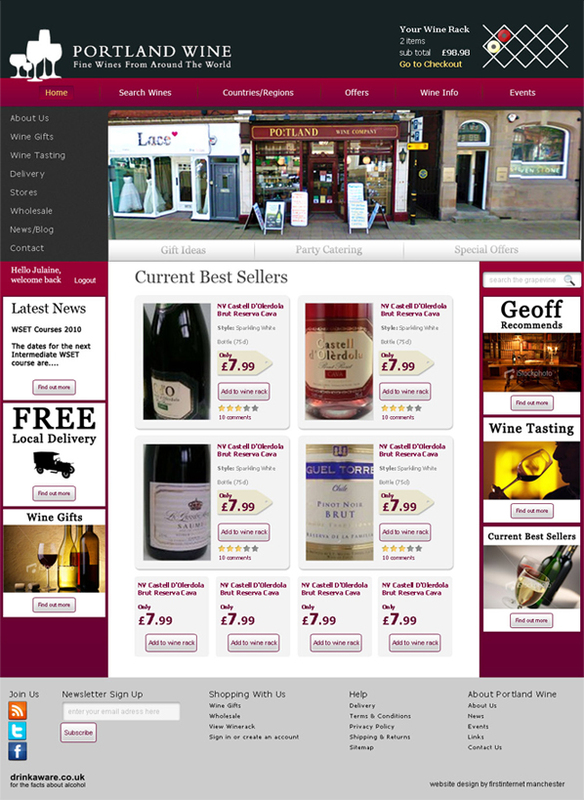 As well as providing the opportunity to buy any of Portland’s products online, the new ecommerce site also boasts a host of content and features including product reviews – where visitors can rate the wines they have bought – and an extensive search facility for customers to browse Portland’s huge wine selection. Visitors can also view special offers, specialist wine information, events and wholesale information, as well as recommendations from Portland’s owner Geoff Dickinson.